As the weather got warmer I started taking my running outdoors, but soon after a run I would get massive headaches due to heat exhaustion. Strong sun and heat can make outdoor runs more challenging, and a big concern is the risk of heat exhaustion. I've discovered a new trick to stay cool while running on a hot day - hydrating my head. Sounds silly right? 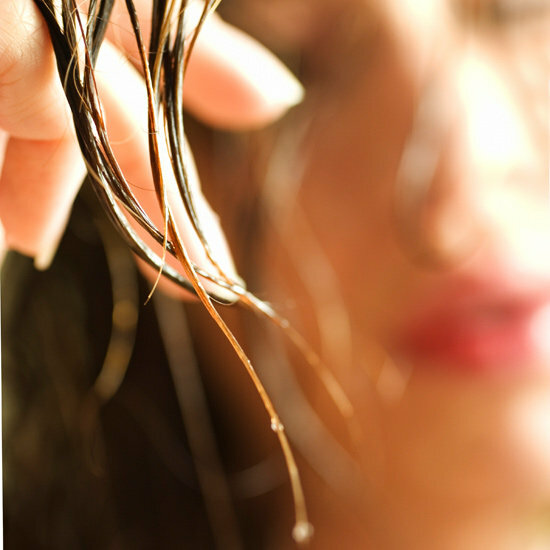 Before heading outside, I soak my hair, squeeze out some of the excess water, but leave it pretty wet, and then wrap my hair into a bun. For those of you w/ supershort hair, soak your head and a bandana, and wrap the wet cloth around your head. As you run, the cool breeze on your wet head will not only feel refreshing, but it will also help prevent overheating. Always carry a water bottle and periodically pour some water on top of your head to rewet your hair and of course to prevent dehydration. Another key tip to staying cool is proper gear. Avoid wearing cotton when running because it holds your sweat and doesn't dry quickly, which can lead to chafing. Synthetic fabrics ie) Dri-Fit wick moisture away from your skin so cooling evaporation can occur. Trust me, you'll appreciate the comfort -- especially during long runs outdoors. Nike Women were more than generous enough to send me some running gear for my marathon training. 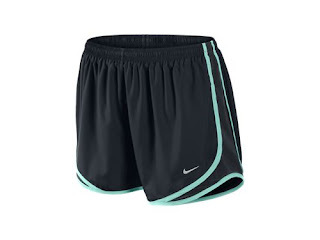 Nike Tempo Track Shorts - These running shorts are so comfortable that they actually made me want to run longer. I'm not kidding. The fabric is ultra-lightweight and stretchy, so these shorts are so easy to move in. They also feature mesh on the sides, making them extremely breathable. And they come in many different fun and vibrant colours. 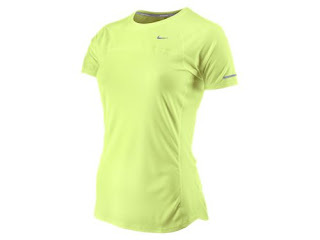 Nike Miler Running Shirt - This super lightweight T-shirt from is semi-fitted so it gives a good fit without being too tight or clingy. If you love the feel of cashmere , but hate being wet, this is the shirt for you. Like the shorts, it also features mesh side panels, which is great for summer running. The Dri-FIT quickly moves sweat away from your skin, helping you stay dry. HAPPY RUNNING AND STAY COOL!